This article explains the problem and potential solution of the Properties window opening for the Code object in CODESOFT with the right side of the popup window missing or cut off. 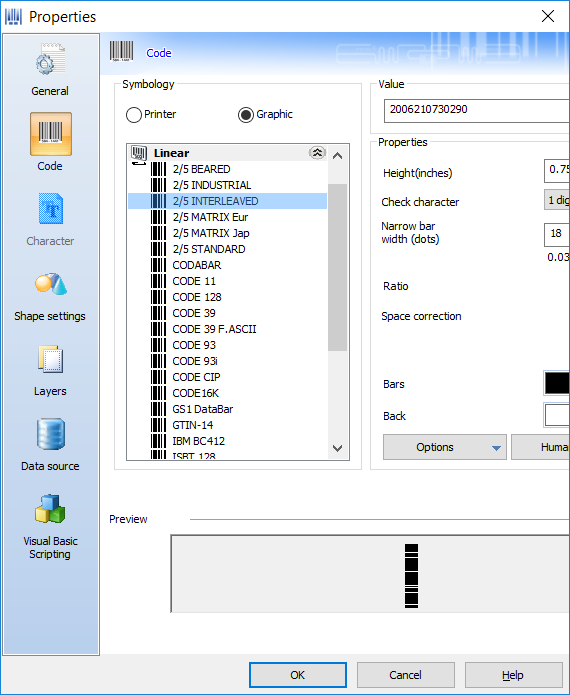 The Properties popup window in CODESOFT does not allow changes to the size or scroll bars to move the screen. Thus if the Windows does not render the screen in the exact size intended by TEKLYNX, the distortion (i.e. part of the screen cut off or running off the page) make part of the popup screen unusable. In extreme cases, it can make updates to the label object very difficult. It is possible that incompatible versions of CODESOFT and Windows led to this problem. More data needed to prove this conclusively. Support for Windows 10 for CODESOFT was added in version 2015. 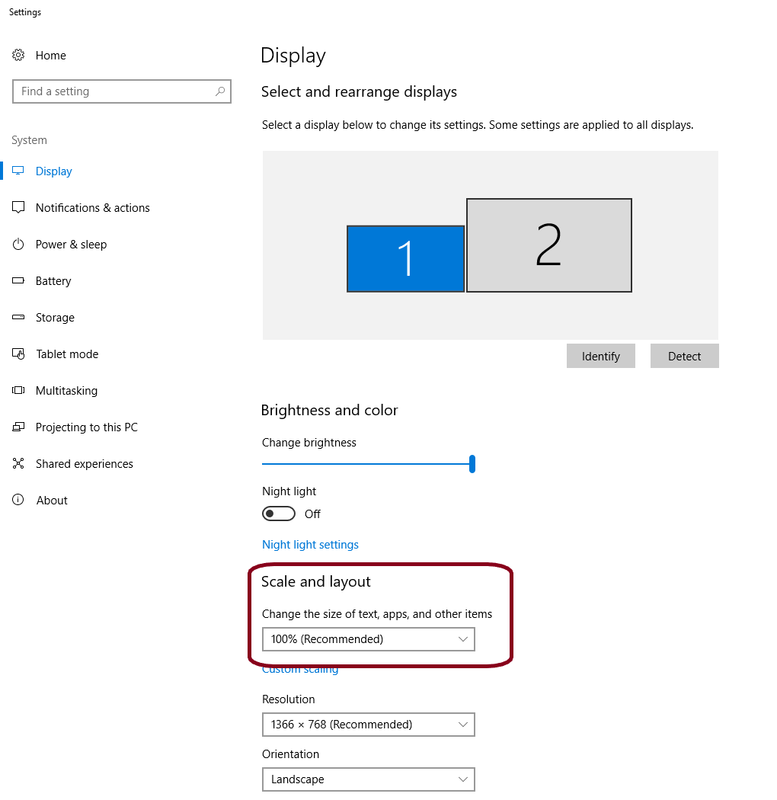 Changing the Windows Display settings to the default 100% resolved this problem.